Dr. K G Sahadevan is a Professor of Economics at Indian Institute of Management Lucknow (IIML). He has been teaching Macroeconomics, Economic Thought, Business Environment, International Trade and Finance, and Commodity Futures Trading and Market Operations in post-graduate, doctoral level and executive development programs for over 25 years. 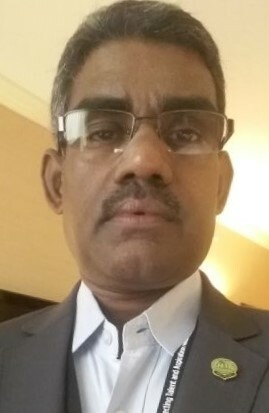 Sahadevan has published his research writings on international macro-monetary economics, services economy and commodity markets in professional journals including Economic and Political Weekly, South Asian Journal of Management, Journal of Foreign Exchange and International Finance, Indian Economic Journal, Artha Vijnana, Indian Journal of Economics, Prajnan, etc. Sahadevan has held various academic administrative positions including Dean (Program), Chairman of Fellow Program in Management, Chairman of Admissions, etc at IIML. He has also associated with various government and corporate bodies including Ministries of Finance, HRD and Consumer Affairs, Multi Commodity Exchange of India, many universities/institutes, and publishing houses such as Elsevier, Oxford University Press, etc. as consultant as well as member of governing bodies/expert committees. UGC-NET JRF in International Economics, 1988.